Playful and flexible, that’s the Link candlestick. You can shape and reshape this candle holder endlessly, in a line, half circle, gulf, you name it. 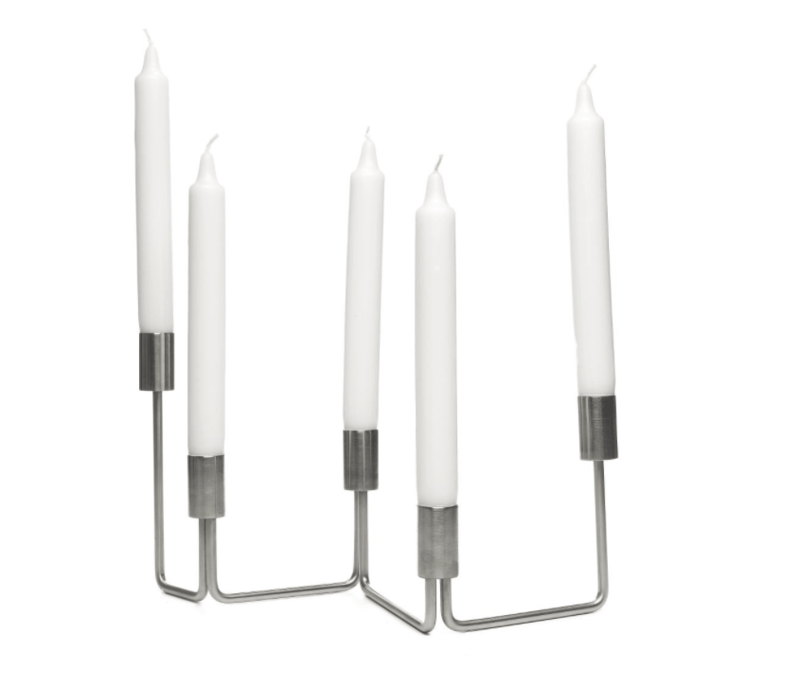 Unique to this candle holder are the five connected candleholders of different height that you can move in different positions, like links of a chain. 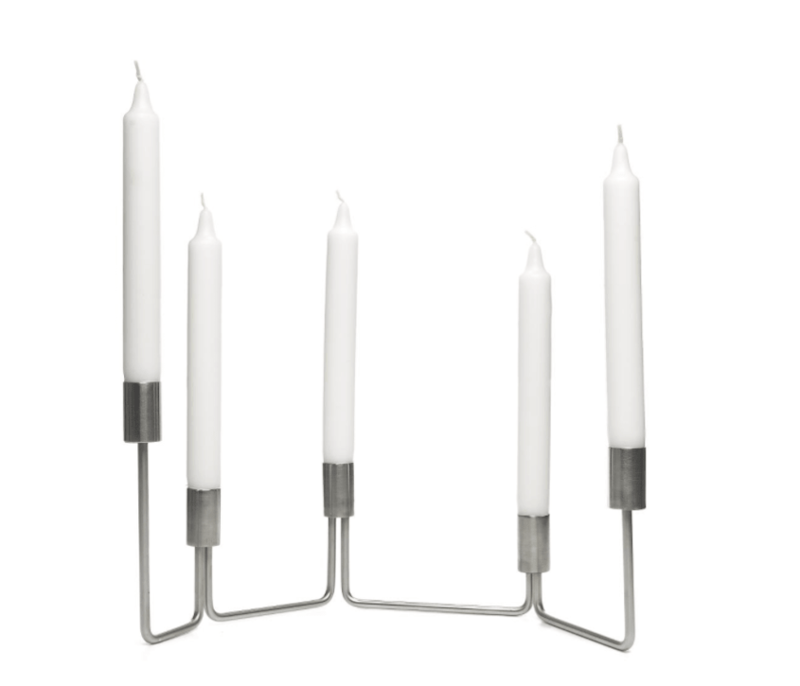 A beautiful and practical stainless steel candlestick, at home on every table and in every room. Playful and flexible, that’s how you can describe the Link candlestick. Because you can shape and reshape this candle holder endlessly. 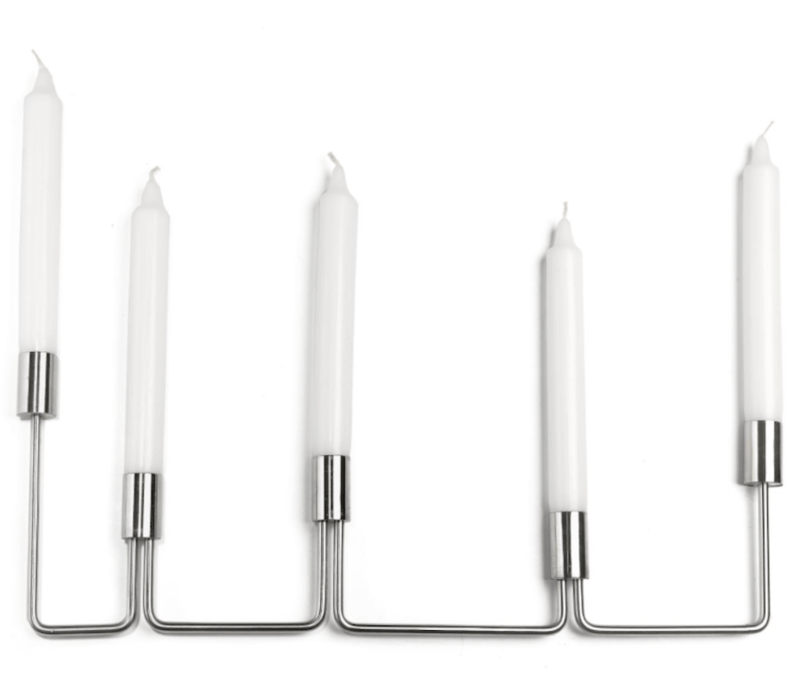 Unique to this candle holder is that five individual candleholders that differ in height are connected but can also move in different positions. You can place the candle holders in a circle or you can make it a beautiful wave of candles. A beautiful and practical candlestick, at home on every table and in every room. Cosy dining together. Intimate with a couple close to each other or with friends at a broader set table. That requires a flexible solution. How can you handle these wishes in one and the same candlestick? That question was for Duo Design designers Emiel Vaessen and Gert Jan Vogel, the inspiration for the Link candlestick. 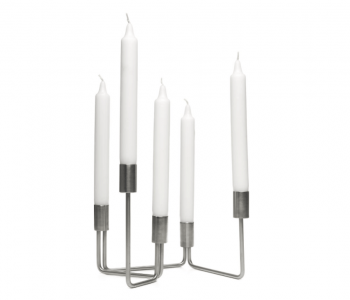 The Link candle holder is made of stainless steel. Designed and assembled in the Netherlands. The Link candle holder accommodates 5 candles of the type dinner candle. This requires a flexible solution. How can you handle these wishes in one and the same candlestick? That question was for Duo Design designers Emiel Vaessen and Gert Jan Vogel, the inspiration for the Link candlestick.